Stow, Oh. 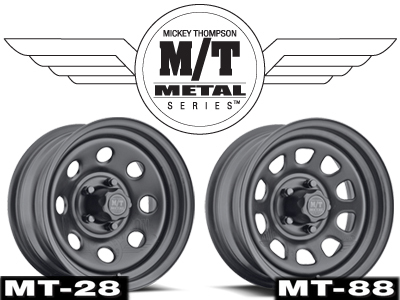 – September 6, 2012 – Mickey Thompson Performance Tires & Wheels (Mickey Thompson) is pleased to introduce the new Mickey Metal Series wheels. 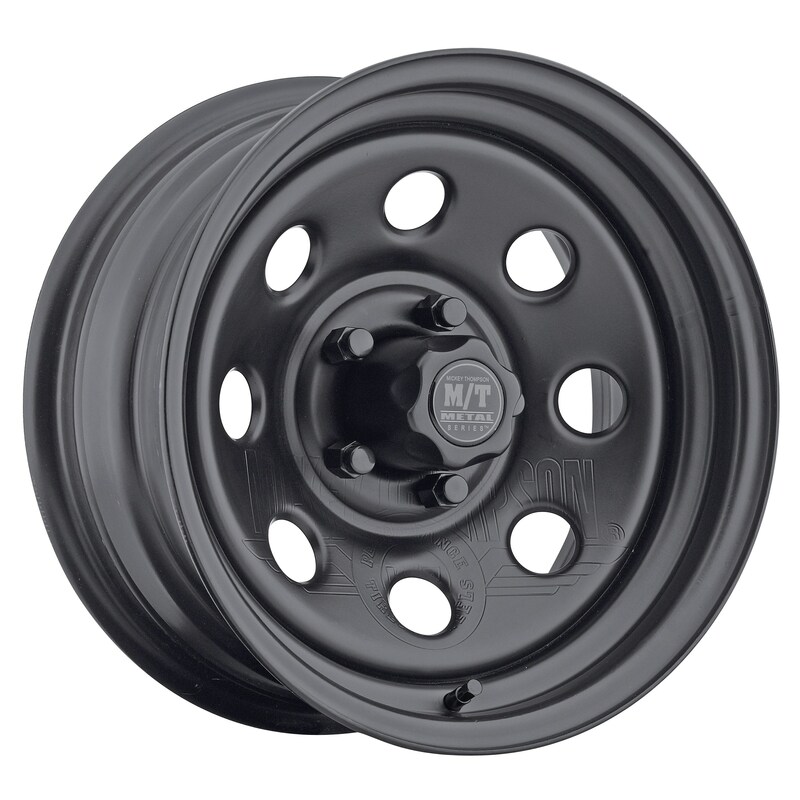 These affordable, heavy duty steel wheels feature a tough black powder coat, embossed center cap, and the Mickey Thompson name stamped directly into the wheel face. Available in popular 15-, 16- and 17-inch sizes, the Mickey Metal Series wheels are offered in several options including the MT-28 (original eight-hole wheel) and the MT-88 (the 10-hole “D-window” wheel). The Mickey Metal Series wheels offer heavy-duty steel construction and a lifetime limited warranty against structural defects. For more information, visit http://www.mickeythompsontires.com/metal/ .